news The Labor opposition has said that, while it supports the Government’s pledge to add a further $60 million to the Mobile Black Spot Programme if reelected, allocation of funding across Australia is missing out areas that need it most. According to the figures provided by Labor, of the 499 mobile towers funded in Round 1 of the programme, only 21 had been switched on as of 4 May. Of those 499, it added, 416 towers “are in Liberal and Nationals’ electorates”. Furthermore, Labor pointed to some “glaring omissions” in the programme, suggesting that there are locations that should have been funded but were not. It cites as an example the electorate of McEwen in Victoria – one of the most fire-prone areas in the country. Over the last six summers, McEwen has seen the same number of major disasters, including being the worst hit in the Black Saturday fires of 2009. Despite the identification of 95 blackspots in the electorate, the statement said, the area has received only two of the 499 funded towers from Round 1 of the Mobile Black Spots Programme. “This is critical infrastructure that saves lives in an emergency and is also central to every business in the country and the daily life of all Australians,” the Opposition party said, adding that it is committed to ensuring regional Australia has access to the broadband and mobile phone services it needs. Earlier this week, the Coalition Government announced that it would invest an additional $60 million in the Mobile Black Spot Programme if it is returned to power in July’s federal election. The extra funding would be allocated to black spot locations that have not previously received funding under the programme, along with locations that have been ignored by mobile network operators because they lack commercial viability. The potential investment would bring the Coalition’s total investment in eliminating mobile blackspots to $220 million, the government said at the time. Also this month, Vodafone called on voters in regional seats to use social media to raise the “urgent need” for more funding for mobile black spots with their federal representatives and candidates ahead of the Federal Election in July. Dan Lloyd, Vodafone’s Chief Strategy Officer, said many people in regional Australia still do not have “reliable, competitive 21st century telecommunications services”. “It’s time for Australians in regional and rural areas to send a clear message to their local MPs and candidates that action needs to be taken to end the mobile class divide between cities and rural and regional Australia,” Lloyd said. Looking forward to the ALP’s policy announcement (NBN on steriods). NBNCo (in their 8th year) is yet to launch a business product. What’s the status of their much talked about cellular backhaul product? Oh, but yeah… the ‘new’ NBN doesn’t need any of that stuff because they’re now using copper. Still on their roadmap. NBNco talks about a lot of things; delivers little of it. There’s no problem provisioning business grade services over any of NBNCo mediums (layer-2+). How do you think these services were provided pre-fibre? Then why are medical alarms an impossibility unless over wireless (or FTTP) now? It would also make sense to force carriers to roam onto each others network, so consumers don’t need to worry about who to choose to get best coverage. Currently we have a situation where coverage is duplicated in many locations, and no coverage at all in others. It is a waste of resources to have 3 or more networks running mostly in parallel. That’s actually a really good point, we should have legislation that says if you take gov money to build blackspot mobile towers, then you have to allow other operators customers to roam onto those towers. Otherwise you are just getting free tax-payer money to build a competitive advantage. Each network operator can apply for funding, so the blackspots are co-funded by the Federal Government, State Governments and the network operator, Telstra is the most active in applying for funding and is therefore allocated the largest amount, because of its extensive backhaul network and existing links in rural areas you can understand that therefore most mobile blackspots are filled by Telstra. This is followed by Vodafone, I cannot see much Optus blackspot funding allocations in the Dept of Communications blackspot website. The way the funding is allocated actually favors Telstra. The rules governing placement of wireless devices also greatly favour the first in, for example Telstra already use microwave links for their fix line phones they are at a significant advantage installing other wireless equipment. 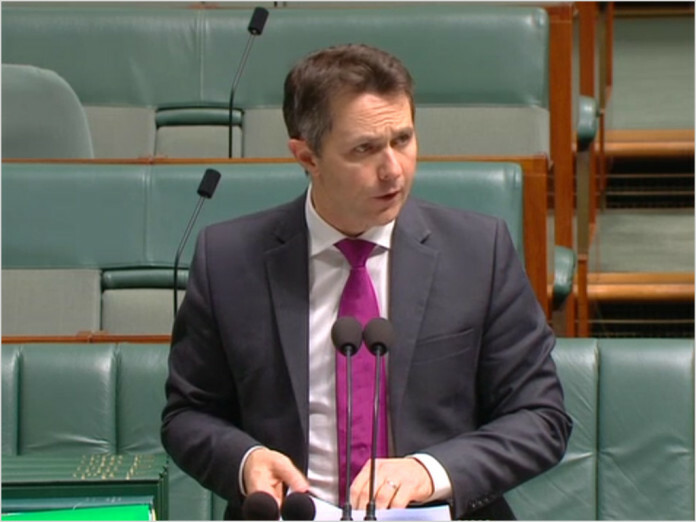 I also think that the black spot funding should go to NBN Co to build multi access towers. All Australian telco’s are currently trailing or implementing voice over 4G networks, why no build something that is accessible to all Australian’s, not just Telstra customers? Tax payers money being thrown to pay for the installation/upgrade costs of private companies. Let them pay for their own expenses, thats why they charge their customers for anyway. This. Time 1,000. And I write that as someone who lives in a rural blackspot. Locations nominated by the public as mobile black spots – areas with no or poor coverage – will be added to a national database which will be provided to mobile operators as part of a competitive selection process. Operators will be required to nominate sites where they would build new or upgraded base stations to serve the black spot locations nominated by the public. More than 6,000 locations were nominated under Round 1 of the programme and, as a result, new or upgraded coverage will be provided to around 3,000 of the nominated black spots. Black spots which are not set to receive new or upgraded coverage under Round 1 of the programme will remain in the database as eligible locations for Round 2. So the 3000 spots not done in Round 1 join the database again along with all the new black spots for Round 2 allocations, which doesn’t necessarily mean the 3000 not done in Round 1 all get done in Round 2 anyway! Is that pork I smell?? at this websіte is reallү fabulous.